Mahogany has always been one of the preferred tonewoods in acoustic guitars. Especially steel string acoustic guitars. Mahogany provides a velocity of sound unlike what rosewood can do. Most mahogany guitars are just mahogany bodies, and not mahogany topped guitars. Mahogany has been used as a soundboard or acoustic guitar top since the 1920 at least. 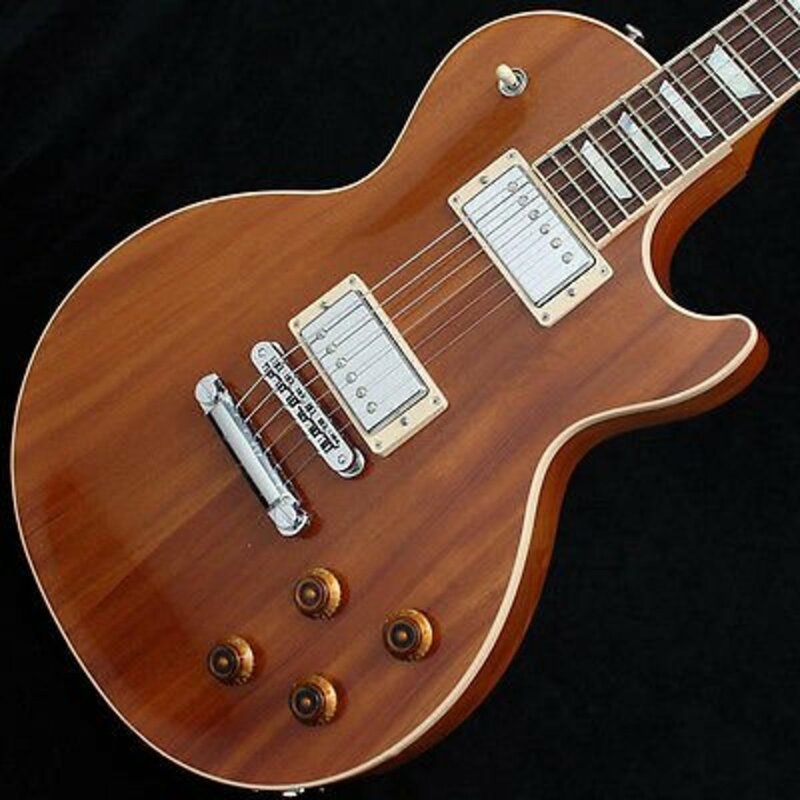 You know one when you see one, as the mahogany top gives the guitar the deep brown color from the top, and all the way around; for all mahogany top guitars you will see, are also mahogany body guitars. All mahogany guitars are often much less expensive than mahogany guitars with spruce tops. Why? Spruce soundboards are very pricey. Mahogany is much more available and is also easier to shape into a guitar. Mahogany is a heavier wood than spruce is. So when a mahogany top or soundboard is used on a guitar instead of a spruce one, the guitar will not be as loud as a spruce top guitar. The projection of notes from a guitar with a mahogany top will have less complexity, and more sustain. People say Mahogany tops can make you sound a better player, as your mistakes will be less obvious. Because mahogany is a heavier wood than spruce, your brand new mahogany top guitar will take longer to get broken in than a spruce top guitar. You can get it all nice and broke in quicker and easier by using a heavy pick or otherwise heavy attack on the strings. Mahogany top guitars excel as a rhythmic instrument. You can get a terrific sound with a mahogany top guitar playing an aggressive rhythm style. Mahogany top guitars are excellent for the person who loves to play chordal rhythm behind their own singing or someone else's. But mahogany top guitars sound terrific when finger-picked or flat-picked too. They provide less volume than spruce tops, but one can always use medium gauge strings for increased volume. 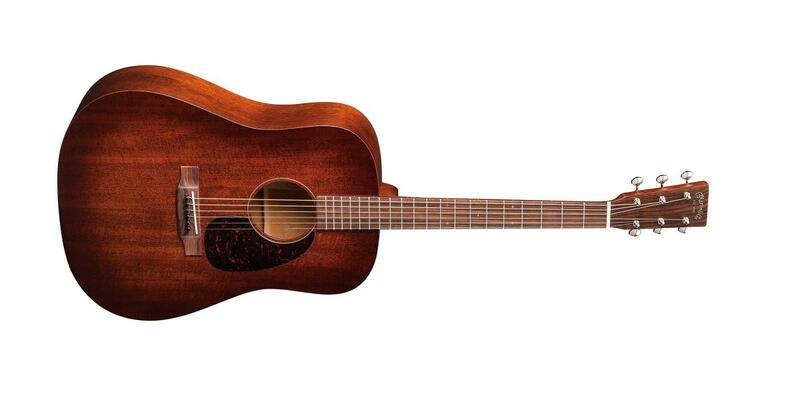 Many mahogany top acoustics are built with a pre-amp and pickup system on-board. 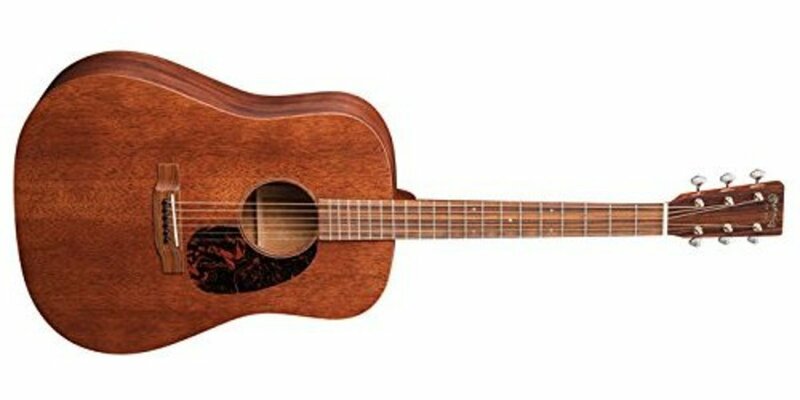 The all solid mahogany Martin D-15 is as good as it gets. Whether you believe it or not, it is true - when these guitars were first manufactured they sold for just five hundred dollars. Well, these guitars caught on quickly and the price rose and keeps rising. They cost more than twice what they did in their debut today. The Martin D-15 is beautiful in its understatement. 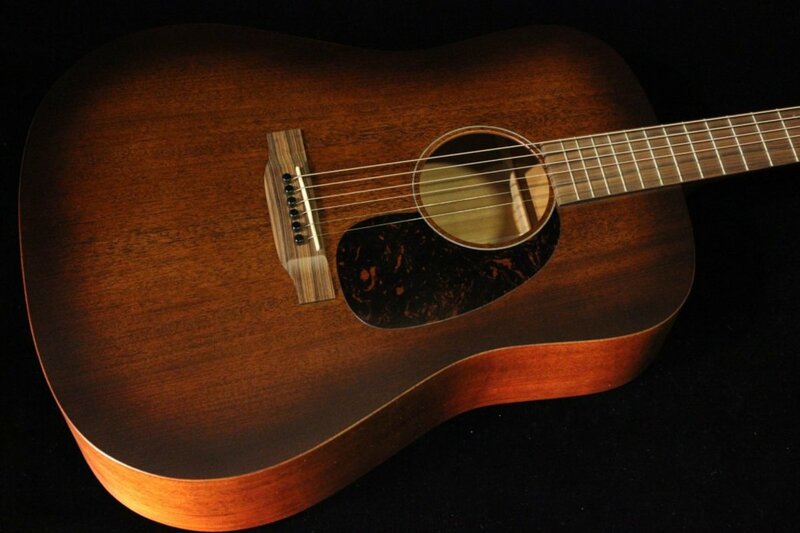 As an all solid wood construction dreadnought, the thing is a true Martin in every way. I've played a dozen or more of these guitars at guitar stores, and every single last one was perfect. I so wish I had bought one when they were a brand new design and sold for so little. Because of the deep overtones an all mahogany guitar provides, the guitar gives a great counterpoint to a spruce guitar. So if you play with someone, the contrast can make the music more whole in a tonal manner. Martin D15M Review - How does it sound? The Guild GAD-125 will often also be referred to as the Guild D-125. We're talking about the same guitar here whichever you see it labeled as. 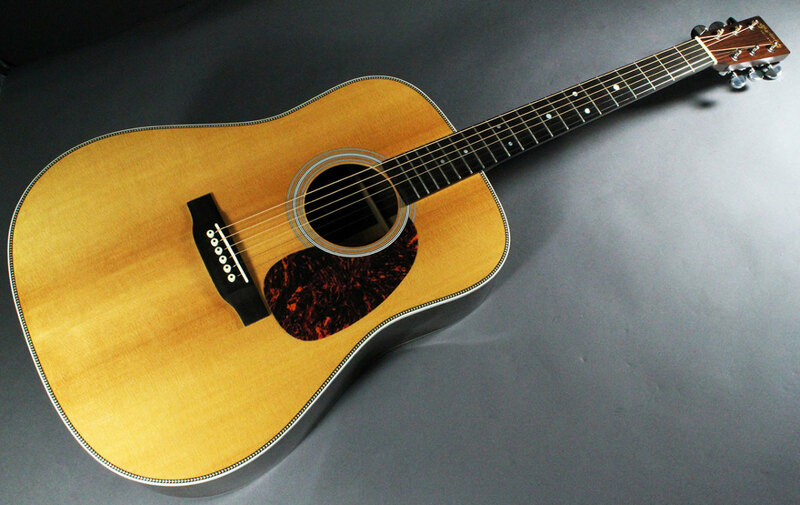 This guitar is built to compete against the Martin D-15 in every single way. This Guild guitar is all solid wood construction. So it is of all solid mahogany. The fingerboard and bridge, of course, are of Indian rosewood, just like the Martin. So what is the deal here? The Guild is built in China. This allows Guild to sell this guitar to you for less than what Martin sells the D-15 for. The D-15 is made in the USA. You can always count on Taylor guitars to offer another take on anyone's theme. 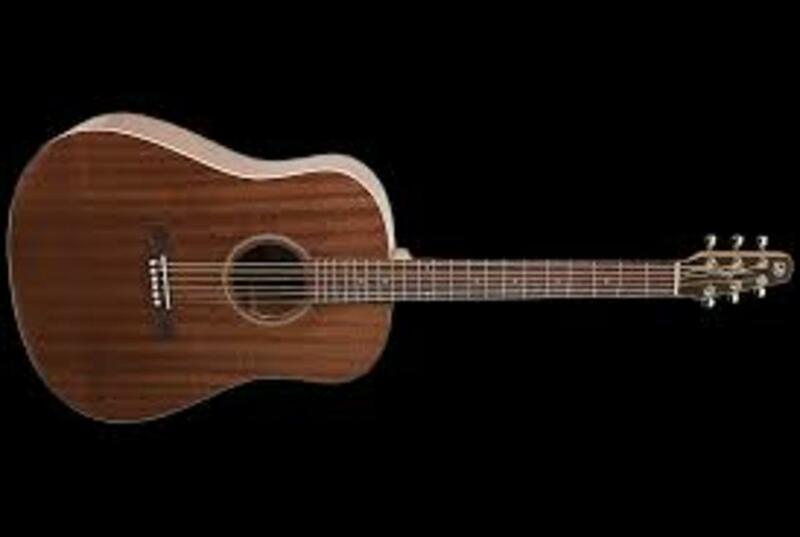 Sure as the sun rises, Taylor will offer an instrument of a similar recipe to what Martin or Gibson or Guild offers, but Taylor never copies anyone. They build their guitars differently. They brace the insides of the guitars differently, and so their guitars always sound like Taylor guitars. 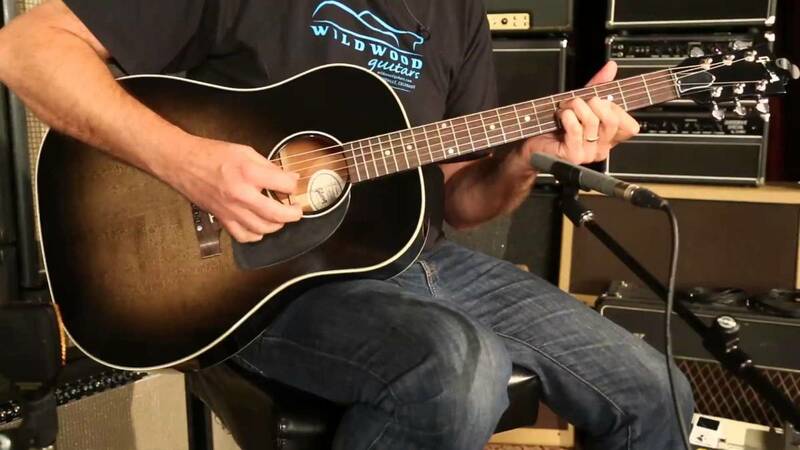 While finding a Martin dreadnought which came from the factory with a pre-amp and pickup installed is a very rare thing, the opposite is true with Taylor guitars. Almost every Taylor acoustic guitar made will have a pre-amp and pickup installed from the factory. They do also make some without those things, but not so many. Taylor electronics are always first rate, and as good as you will find. Voiced differently from Martin, the Taylor 520 excels in mid-range punch. The specifications listed below are for a Taylor 520. This guitar, without the electronics, sells for around fifteen hundred dollars. But much more frequently you will see a Taylor 520ce, which has a Venetian cutaway and the electronics. 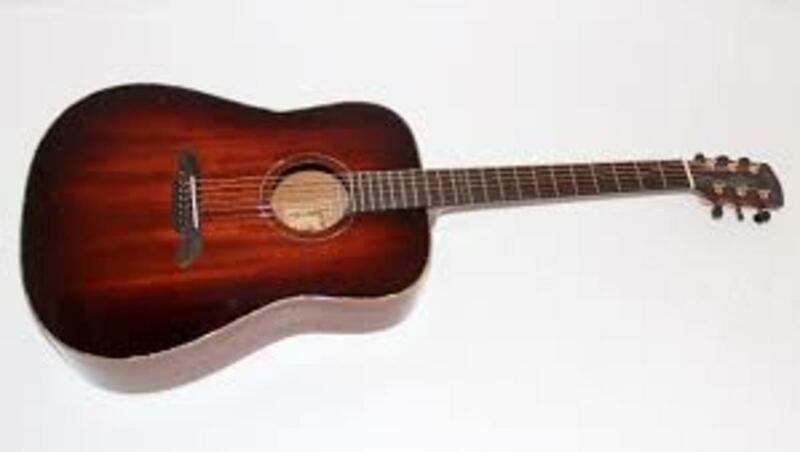 With those features, the Taylor 520ce cost around twenty five hundred dollars. The people at Taylor are very proud of their electronics, and they should be. 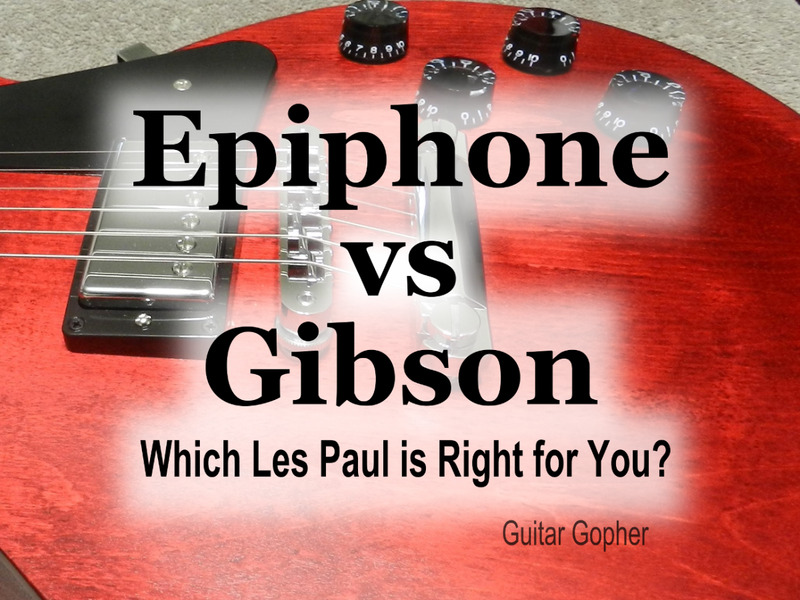 Should you decide to purchase one of their acoustic/electric guitars, you will have a fine thing indeed. The Taylor Expression System 2 (ES2) is a revolutionary pickup design that delivers the latest in Taylor's ongoing innovation in acoustic guitar amplification. The heart of the Expression System 2 is Taylor's proprietary behind-the-saddle pickup (patent pending), which features three uniquely positioned and individually calibrated pickup sensors. The location of the sensors enables a more dynamic range of acoustic sound to be captured than ever before. Together with Taylor's custom-designed "professional audio"-grade preamp, this system produces exceptional amplified tone and responsiveness. On stage through a PA, plugged into your favorite acoustic amplifier, or direct into recording software, the Expression System 2 faithfully conveys the voice of your Taylor guitar. Alvarez has long been a personal favorite make of guitar for me. You don't see so many Alvarez guitars as you should. They do make instruments from very cheap beginner's guitars all the way up to instruments as good as can be made. And Alvarez guitars have a certain classiness to them. They aren't making copies of anyone else's guitar. So this particular Alvarez guitar isn't so easy to find. But you may well find one. And if you do, you will find a gem. I'm seeing used ones online for five hundred dollars. But I'm not seeing very many of them. These are all solid wood construction guitars. They're made in Japan. And Alvarez is going the extra mile here with the use of bone nuts and saddles. These guitars will be every bit as good as the Martin and the Taylor. Koa binding is catching on as an upscale appointment, and that is what Alvarez is using here.The Masterworks bracing system is forward shifted with scalloped, hand finished X braces that allow these guitars to project incredibly well. There’s lots of sustain and dynamic response. Either strummed or picked, the separation and balance across the strings is unprecedented in this price range. These all solid and seasoned mahogany guitars are a professional or serious amateur's dream. Scale (inches) : 25 1/2"
Nut Width (inches) : 1 3/4"
These guitars come with a solid mahogany soundboard, but the backs and sides are laminated mahogany. But the guitar is acoustic/electric. So if you are someone who performs live often, this is one outstanding guitar to have for your shows. It'll be loud enough for you to practice with alone, and when you plug it in on stage, it's got top notch electronics on-board. I would take an Ibanez AC240 over the Seagull any day of the week. Thanks a lot! I also get a lot of pleasure from the videos. And I always listen to several, if possible, for each guitar to find the one I like the best. Nice comparisons article. Loved listening to the music as I read.